Synopsis: This article reviews approaches that can be used for the conjugation of immunostimulatory adjuvants onto protein antigens in order to improve subunit vaccine potency and safety, as well as to tailor the types of immune responses that are elicited. This work focuses on recombinant (fusion proteins), synthetic (chemical ligation and synthetic peptides) and semisynthetic techniques (e.g. enzyme-mediated ligation reactions). 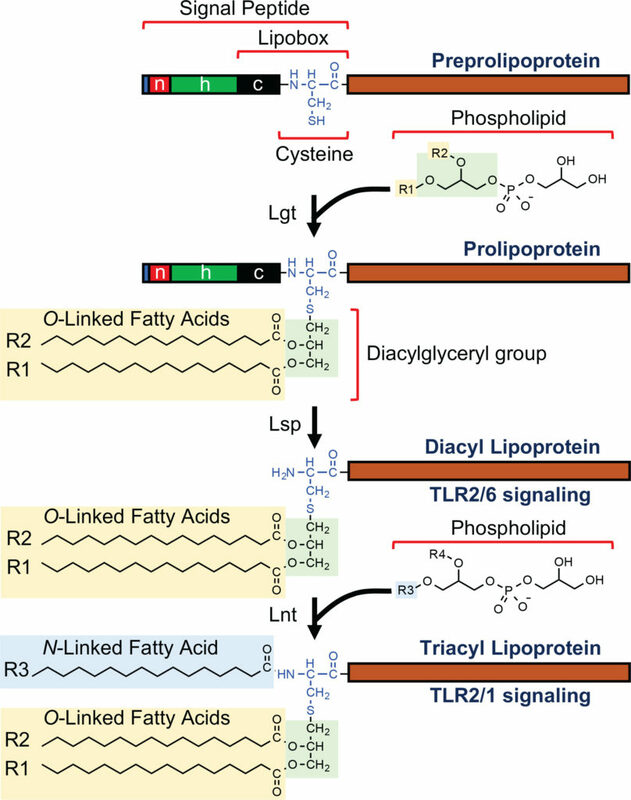 Synopsis: This article reviews four protein-based adjuvants (flagellin, bacterial lipoproteins, the extra domain A of fibronectin (EDA), and heat shock proteins (Hsps)) that can be genetically fused to antigens to enable the recombinant production of antigen-adjuvant fusion proteins, including information on their mechanisms of action, structural or sequence requirements for activity, sequence modifications that enhance their activity or simplify production, adverse effects, and examples of such vaccines in preclinical or human clinical trials. Synopsis: “an overview of the components that are used for the development of modern vaccines including: an introduction to different vaccine types (whole organism, protein/peptide, polysaccharide, conjugate, and DNA vaccines); techniques for identifying subunit antigens; vaccine delivery systems; and immunostimulatory agents (‘adjuvants’), which are fundamental for the development of effective subunit vaccines”. 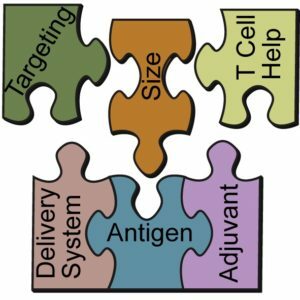 Synopsis: a review of “the current state of the art and future direction in subunit vaccine development, with a focus on” adjuvants, delivery systems, particle size, targeting (e.g. dendritic cells), and “adding components to aid vaccine efficacy in whole immunized populations (e.g. promiscuous T-helper epitopes)”, as well as “their potential to steer the immune response toward a desired response”. Notes: Highly cited article (> 70 citations 31/7/16, google scholar). ChemMedChem top 10 cited article of 2013. Flagged as ‘highly cited paper’ by Web of Science (placed in the top 1% of the academic field of pharmacology and toxicology). Synopsis: This review “provides an overview of the most studied lipopeptide vaccine systems grouped into the following categories: 1) bacterial lipopeptides, including tri-palmitoyl-S-glyceryl cysteine (Pam3Cys) and di-palmitoyl-S–glyceryl cysteine (Pam2Cys); 2) the lipid-core peptide (LCP) and multiple antigen lipophilic adjuvant carrier (MALAC) systems; 3) single-chain palmitoylated peptides; and 4) glycolipids (e.g. monophosphoryl lipid A). The review also discusses the potential mechanisms of action for lipopeptide and glycolipopeptide vaccines, as well as structure activity relationships, and provides examples of studies utilising each system”. Notes: Highly cited article (> 92 citations 31/7/16, google scholar). 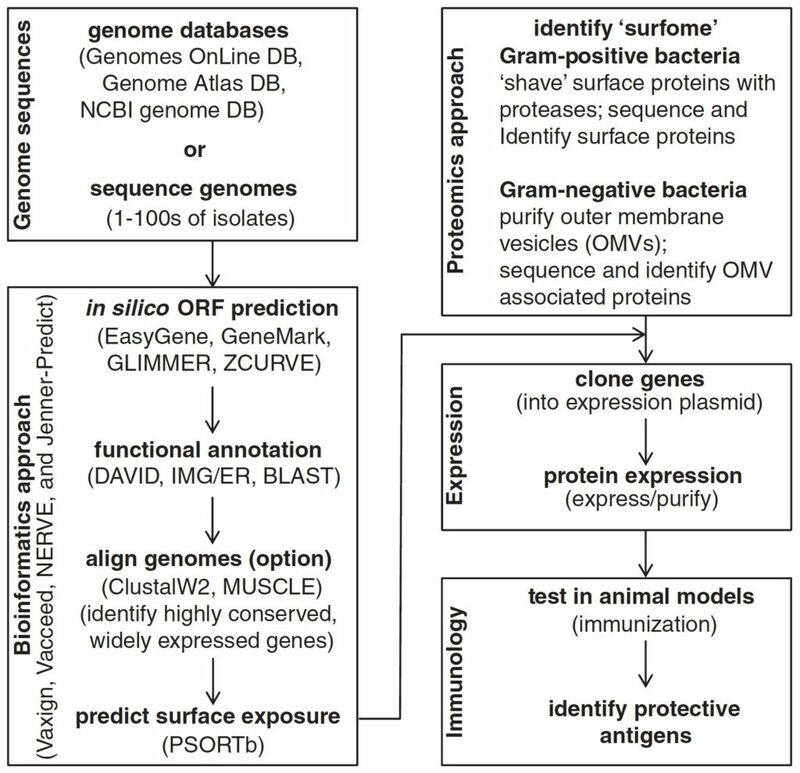 Synopsis: This review aims to provide an overview of the immune system with respect to induction of mucosal immune responses, and provides an overview of a number of microbial (bacterial toxins, CpG DNA, cytokines / chemokines, live vectors, and virus like particles) and synthetic (microspheres, liposomes, and lipopeptides) strategies that have been investigated as adjuvants or delivery systems for mucosal vaccine development, with a focus on the delivery of vaccines via the oral route. Notes: Highly cited article (> 76 citations 31/7/16, google scholar).